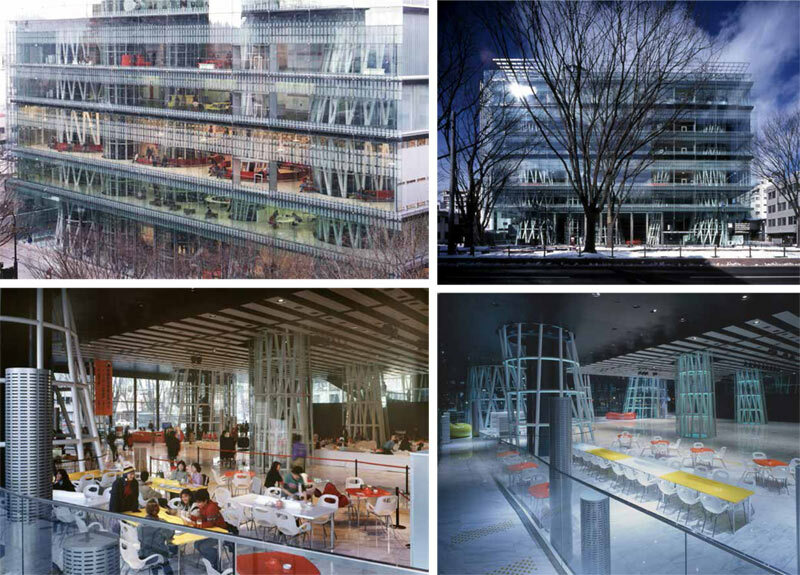 Japanese architect and 2013 Pritzker Laureate Toyo Ito visited the Art Institute of Chicago Tuesday, reflecting during two public lectures on how the 2011 earthquake and tsunami that devastated his homeland changed his approach to design. At 72 years old, the accomplished architect might be expected to rest on his laurels. But Ito said his entire approach began to change during the 1990s. “I used to pursue architecture that is beautiful, aligned with modernism,” he said through an interpreter during a talk with Korean artists Moon Kyungwon and Jeon Joonho; Yusaku Imamura, director of Tokyo Wonder Site; and artist Iñigo Manglano-Ovalle. Instead, he said, he began to ask what elements of a building make it livable. On March 11, 2011, the most powerful earthquake ever to hit Japan killed more than 15,000 people and destroyed hundreds of thousands of buildings. Like many Japanese architects, Ito wanted to help. 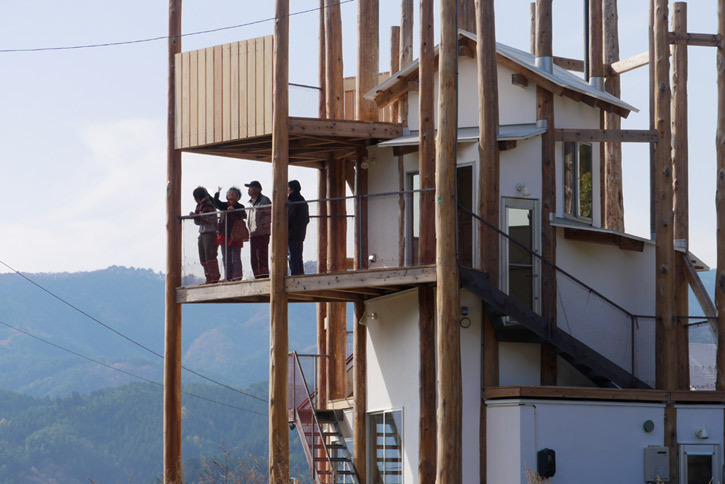 From a series of discussions with quake victims rendered homeless, Ito’s firm developed their “Home-for-All” project. Tuesday evening Ito delivered the Art Institute’s Butler-VanderLinden Lecture, titled “Architecture after 3.11”. He described how government recovery plans failed to inspire or comfort those they were supposed to assist. They were too compartmentalized, isolating, and ignorant of the “dreams and visions” of their users, Ito said. One home Ito’s group built for 3.11 victims salvaged giant kesen cedars, devastated by the tsunami, for construction material — “a sign we’re rebuilding,” he said. Ito’s visit also included a tour of “News from Nowhere,” the first U.S. presentation of the work by Korean artists Moon Kyungwon and Jeon Joonho. Moon and Jeon meditate on a post-apocalyptic society composed of nation-corporations that control the technology necessary to sustain life after a 22nd century global catastrophe. That equipment is displayed throughout, along with a pair of lyrical videos that sketch the story of two survivors. The exhibition also features elements of Ito’s “Home-for-All” project alongside work from fashion designers Kuho Jung and Kosuke Tsumura; mime Yu Jin Gyu; and design firms MVRDV and takram design engineering. The exhibit is on display at the Sullivan Galleries — 33 S. State St., 7th floor — through December 21.